Peter Cottontail may be hopping down the bunny trail, but don’t let him get scared away by creepy, crawly spiders and unwanted pests when he comes to your home! 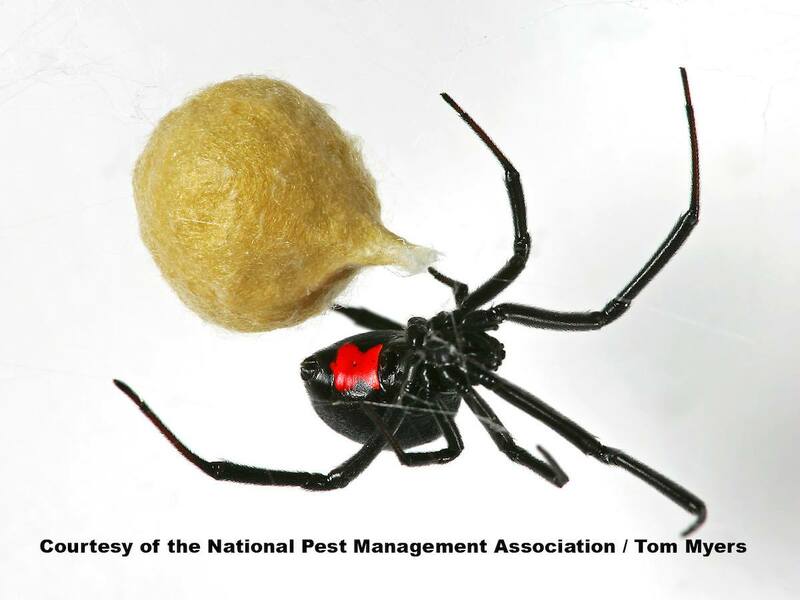 At this time of year, our local pest control service gets plenty of phone calls from homeowners who are overwhelmed by spiders and earwigs, and even beg bugs brought into their homes by unsuspecting guests. Contact us to schedule a free estimate for our home pest control services and make sure your home is pest-free for your family. One thing we have noticed in particular is a big increase in the number of calls we receive for our spider control services. This issue has raised so much attention, in fact, that we were recently interviewed on KSBY-TV. Listen to our interview and read some of our spider control tips below, then get the Brez around to help eliminate spiders from your home. The best way to deal with a spider infestation in your home is to call Brezden Pest Control at 1-800-464-9446 to schedule a pest inspection. We offer a wide range of pest control services in San Luis Obispo, and know how to keep your home and yard free of spiders, pests and unwanted garden guests! Don’t Let a Spider Sit Down Beside You! Spiders can be tricky to kill when there are a lot of them. One helpful hint is to try to eliminate their food sources. Fill the cracks and crevices that let flies and other insects into your home. Use weather strips around doors and repair any holes in your window screens. They don’t like pure peppermint oil. Take a plastic spray bottle and dilute peppermint oil with water, then spray this mixture around the areas where spiders tend to gather around your house. Spiders thrive in clutter, so keep things clean in and around your house. Sweep away cobwebs regularly, keep dust to a minimum, and use plastic storage containers instead of boxes. Check the outside of your house, too. Move any wood piles, trash and debris that might provide a spider home away from the perimeter. Cedar mulch and citrus peels can also be helpful in repelling spiders. Turn off the outside lights when they are not needed. Lights attract flying insects, and spiders love to set up camp near a place where they think they can catch a quick bite to eat. 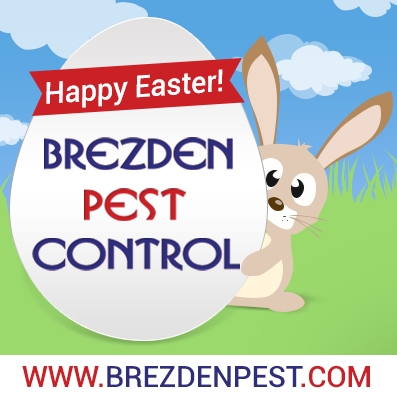 If your home has spiders or needs bird control, rat control, or dead animal removal, don’t get the run around – keep the Brez around. 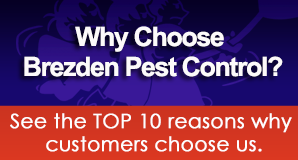 Visit our website at https://www.brezdenpest.com to make an appointment online. Call 1-800-464-9446 today for a local pest control estimate. 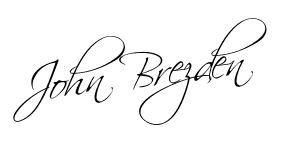 Happy Easter from the Brezden Family!